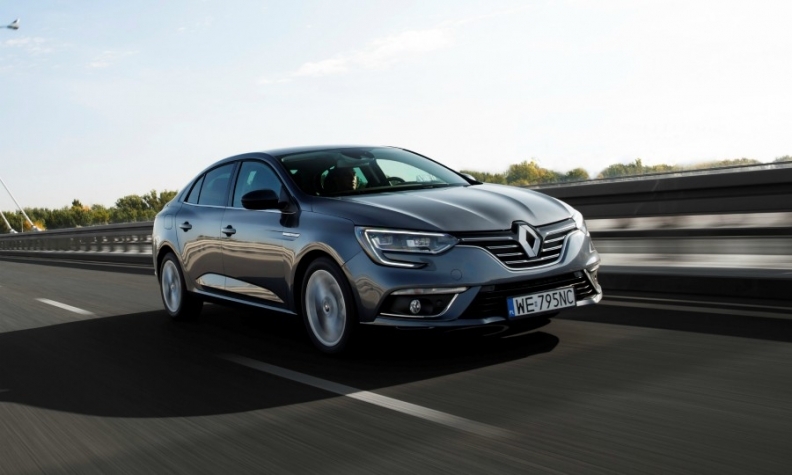 Renault will launch a plug-in-hybrid variant of its Megane compact car. PARIS -- Renault will reduce its diesel-car range in Europe as it introduces hybrid versions of its top-selling models. The company will launch plug-in hybrid variants of its Megane compact car and Captur small SUV, and a hybrid version of its Clio small hatchback starting in 2020. CEO Carlos Ghosn said the diesel powertrain offer at Renault would be cut in half in the coming years as policymakers tighten emissions standards and introduce bans on diesel vehicles. "We are obviously headed for the end of diesel," Ghosn told reporters at the auto show here in Tuesday. "It's the end of the game," he said. Consumers do not care what kind of powertrain they have in their cars, Ghosn said, adding that they buy based on price, total cost of ownership and resale value. "Consumers say, 'Why should I buy diesel when I will be trapped in 3 or 4 years down the road'?" with cars they cannot sell, Ghosn said. As a consequence, Renault is reducing production of diesel engines and increasing its offerings of gasoline, hybrids and plug-in hybrids. "We will support niches and segments" where diesel will still be popular, Ghosn said, "but obviously today the trend is not in favor of diesel. You have to follow what the technology allows you to do, but at the same time interpret the political trends. They will determine which technology will be a winner." Renault's hybrid and plug-in hybrid technology, which it will call e-tech, will use two electric motors mounted in series between the transmission and a 1.6-liter gasoline engine. One motor will be used to start the engine and one for propulsion. The plug-in hybrid models will have an electric range of about 50 km, while the hybrid Clio will be able to drive short distances on electricity alone. Both systems will be able to recapture energy through regenerative braking. Gregoire Ginet, Renault's powertrain product manager, declined to give sales targets, but he said, "The best marketing strategy is to have this technology on our best-selling cars," he said. The Clio, Captur and Megane hybrids will be launched in Europe in 2020, just in time to help Renault meet the new EU fleet emissions standard of 95 gram per kilometer that start to take effect that year. PSA Group is also introducing a range of plug-in hybrids and electric vehicles, starting in 2019. Some believe the end is near for diesels. Continental says 2023 is likely to be the year when the last pure combustion engine platform will be introduced in Europe. Nissan Europe Vice President of Product Planning Ponz Pandikuthira told Automotive News Europe earlier this year that "diesel is on the way out if you're a small manufacturer." "We have a 4 percent market share. We can see a path to no diesel," Pandikuthira told ANE. Those automakers least exposed to diesel are gambling that dropping it altogether will generate positive publicity around alternative powertrains. Toyota has said it will phase out diesels from its European passenger car lineup this year and focus on its gasoline-electric hybrids instead. Just 7 percent of Toyota's European sales were diesels last year, according to data from JATO, the lowest of any volume automaker. Aston Martin CEO and former top Nissan executive Andy Palmer won’t install a diesel in the supercar maker's forthcoming SUV. "My belief for a long time is that diesel’s life is limited. Ultimately, it's dead," Palmer told ANE earlier this year.